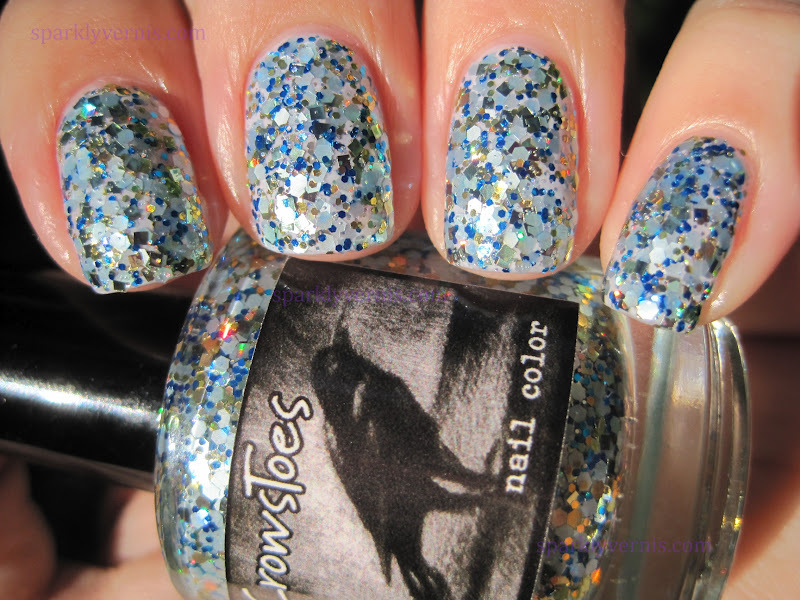 What's not to love about this nail polish? the fact that it has gold squares won me over right away. When I looked closer I realized that the blue glitter had this sort of pearly iridescent quality I had never seen before in glitters. 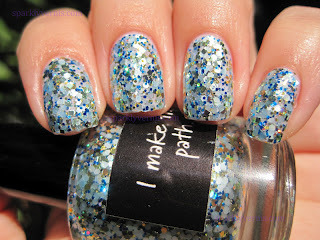 Then there's the other blue glitters that give it complexity. Plus holographic gold gliter to top it off. Just genius. You can order CrowsToes here and here when available. That is one crazy glitter bomb. I love it! CT makes the best glitters! Wow, I'm in love with this glitter! I want to get it now. a very interesting and amazing looking polish! I love this glitter combo! Too bad for me I've sworn off indie polishs for a while (Well Cult Nails sale exculded) But I may need to make another exception for this!